I just got this in an email. Looks like the natives are getting restless at PTR. The only thing I would add to this is that Dan has been doing this for years, not months. Dan - Since my post was up less than 5 minutes and I was permanently banned for posting your own words (AKA lies), I wanted to make sure you got to read it. This only confirms that PTR and the Dinar RV is a complete scam and that your 2011 Dinar Douche Bag of the Year award was well deserved. As for being banned from PTR. It isn't significantly better than being banned from a leper colony; plus you don't get to steal $15/month from me any more. I didn't just go out in a blaze of glory (see attachment). I went out in a blaze of honesty. Something you can't even comprehend. 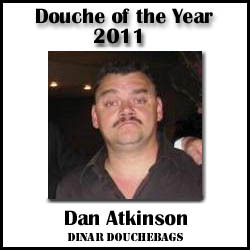 DinarDoucheBags: Feel free to post this on your site. BCC-ers: PASS IT ON TO ALL PTR/DAN VICTIMS & PLASTER THIS ALL OVER THE INTERNET!!! Dan-“Had a challenging three or four days. I think a lot of our economy is that way. We could go into the end of the month where we don’t see the rv…what does it mean if it doesn’t happen this month? I believe it will occur before the end of the month. Gary- If we look we can see where commitments have been made and in one of the meetings were told leadership acknowledged they had approved triggering of the GCR. The conversation that was released in was when they said where is the money coming from, they said because we have approved the GCR. So lot of good things saying we’re coming to the conclusion of this. Gary- We still believe we’re on top of this. Right on top of this. Dan- I believe we don’t have to be in a great place. I still believe we are within a week to 10 days of this. Believe we’re still in a very good position. Gay- This weekend a major leader got back from meetings overseas (Christine Legarde head of the IMF) and had a meeting with UST to trigger transactions with banks and get things moving this week. Going to be an exciting week to see how things play out. Dan- If not done by Christmas we’re looking at a world situation we have not seen in my lifetime. Gary- Our own leadership was causing some of delay and is critically in need of it, so everybody’s in a panic mode. Dan- will be surprised if it doesn’t happen in next two weeks. @39-40 minutes into the tape. Gary…reality is on Friday trying to share with you all positive things without being overly positive. Over weekend, I did hear a couple people, one a priest, in charge of large funds and he was excited talking about the GCR and when it triggered the benefits it would bring. News from behind scenes is absolutely positive. Gary says 60-40 in favor of believing this will happen before the 28th but still notes most of the influential managers are gone as of last Friday. I believe they are looking at having this thing happen this month so the resources for the budget are there. Gary -The people we are working with are excited because they see themselves at the end of the process. Dan quotes Abe. I really believe this will be in the middle of January-Abe. Dan-Because it went this long, it will be mid-jan, by the end of Jan. They absolutely, positively are as close as you can be to this without actually being in the room. Dan...I don'’ expect to see the rv this week or even next Monday. I do believe it’s this month, but don’t think we’ll get to Feb. first. If this embarrasses Dan or Gary, so be it. It should. The fact is, the constant use of phrases like "the news is positive", "things are moving forward", "we’re close", and my favorite "we just don't see this going into November, December, January, February" (or as I call it the month dujour) have been regurgitated call after call since I became a paying member in September 2013. As a member of PTR we pay money for this information. I suspect that is why many of us are here. Consequently, it’s only fair to hold people accountable for the information they provide, is it not? Other than the constant hype, which you can clearly see has been going on for months,there are seldom specifics offered. No one ever says exactly what will happen if the money doesn’t get into the system other than serious consequences. That can pretty much mean almost anything from the price of gas goes up to stocks going down so discount it. By the way, those serious consequences were supposed to happen early this year without an RV in the final three months of 2013. Didn’t happen, did it? Last I checked the stock market had it’s best day a few days ago and the economic indicators weren’t pointing toward recession. And from the January 14 call, what exactly was going to be exposed? Gary thought it had to happen on 12-18-13’s call so the resources for the budget were there. Not there, are they? 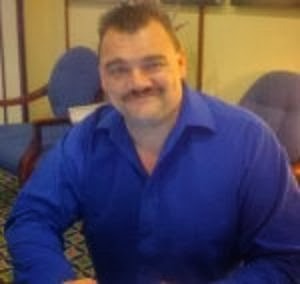 I recently cancelled my membership because I have concluded this is all a large hoax or scam which is putting member’s money into Dan’s pockets. It’s an elaborate hoax of stories designed to keep you shelling out $15 a month. It’s the same people telling you essentially the same things differently over and over. Just look no further than these notes, which I surmise will be taken down shortly in an effort to limit any honest discussion. BTW, when I requested a refund for the last 5 months based on the fact that I found no value in PTR's no intel intel and there is no post RV value until there is an RV (which is about as likely as the sun rising in the West), Dan refused to refund my money. This after stating publicly that he would "gladly" refund anyone's membership fees if they saw no value in PTR. So much for Dan's integrity. He must be pretty hard up if he can't afford to refund my $75. The difference between Dan and Gary and Tony? Just a different brand of the same cr*p. Pedigreed poodle or no pedigree mutt. It's still a dog. My guess. You will all still be here next year and the year after. Still waiting. Still being assured it’s real and about to happen. Still no RV in sight. Any reading of news.google.com with iraq typed into the search bar should quickly convince anyone that an impending RV is years away, not days, weeks or even months. On a final note. I will be writing to my state representatives and the U.S. Attorney. Not to bring about the RV (that isn't), but to encourage them to bring an end to this scam by bringing an end to the dealers and forums that are preying on trusting people, taking their hard-earned money and laughing all the way to the bank at our (your) expense.